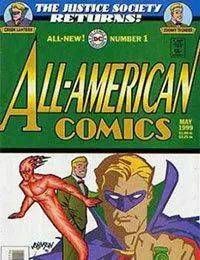 The original Green Lantern, Alan Scott, teams up with Johnny Thunder and his amazing Thunderbolt to save the leaders of the Allied Powers-Churchill, Stalin and Roosevelt-as they convene at the Yalta Conference. Little do these historic figures expect the uninvited guest-one of Stalkers Seven-who arrives to claim the Allied leaders in one fell swoop. And when the incalculable might of Alan Scotts power ring and the Thunderbolts own magic may not be enough to stop Stalkers servant, the balance of power rests with the all-too-human Johnny Thunder.